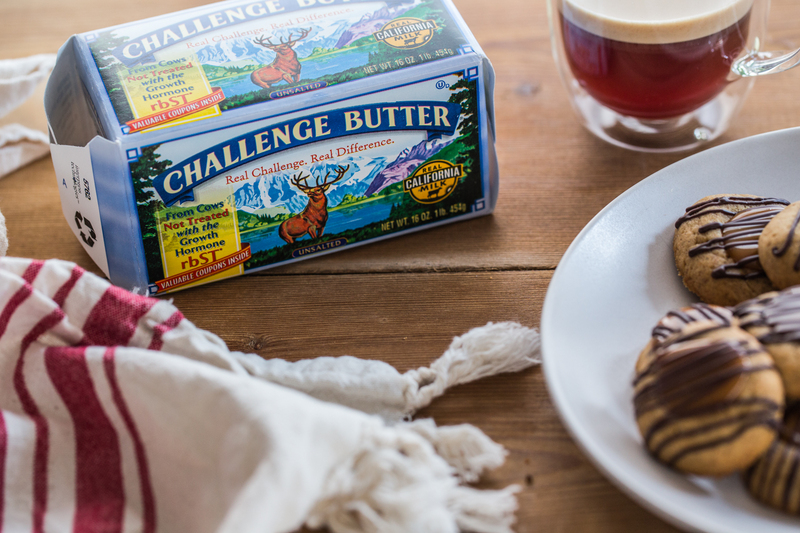 This post, Ginger Caramel Thumbprint Cookies, is sponsored on behalf of Challenge Dairy. All opinions are my own. Thank you for supporting the brands that I love and that help make Jelly Toast possible. It’s cookie baking season! I am happy to report that I have already made 3 batches of cookies plus some homemade candies this year. My kiddos have off the entire week leading up to Christmas and I have a vision of us all laughing and baking in the kitchen. In realitly, it will most likely be me wrangling the troops and them losing interest until the sprinkles are pulled out. But a girl can dream, right? 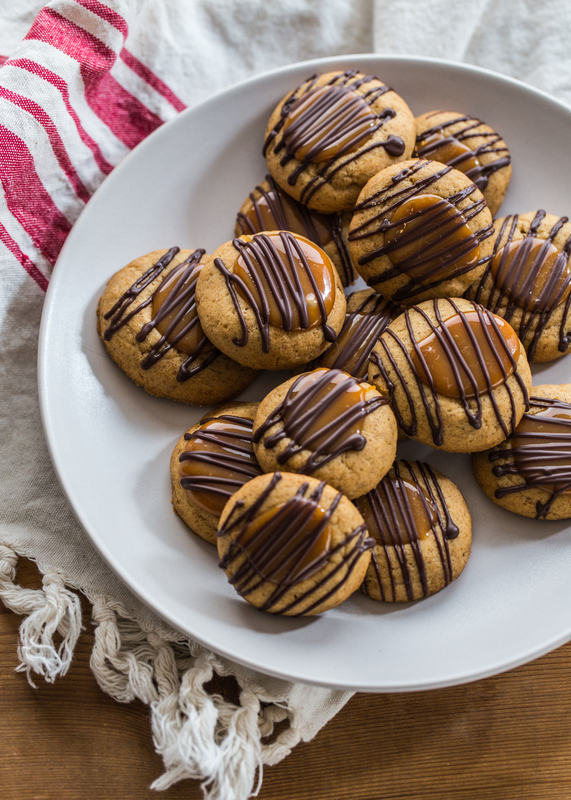 These Ginger Caramel Thumbprint Cookies that I made using Challenge Butter are a twist on the classic gingerbread cookie. 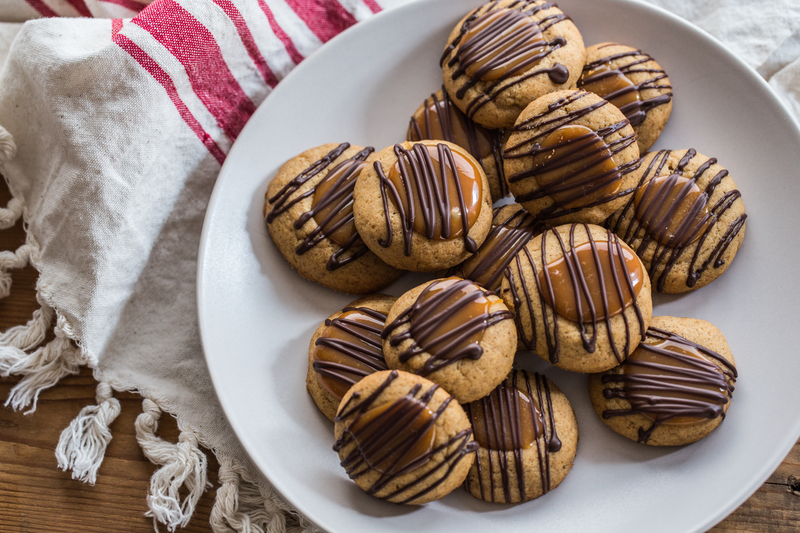 The cookie itself is not overly sweet, but it’s balanced by the sweetness of caramel and the chocolate drizzle. See? Get the kids to help with the thumbprints and the drizzling and you are bound to have a great time. Or a messy time. Either way, it’ll be fun. 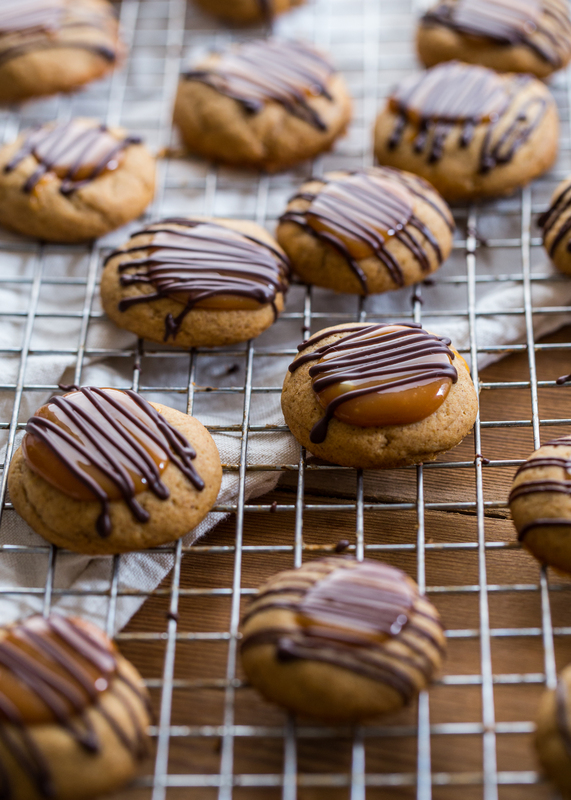 For the full Ginger Caramel Thumbprint Cookies, visit Challenge Dairy. 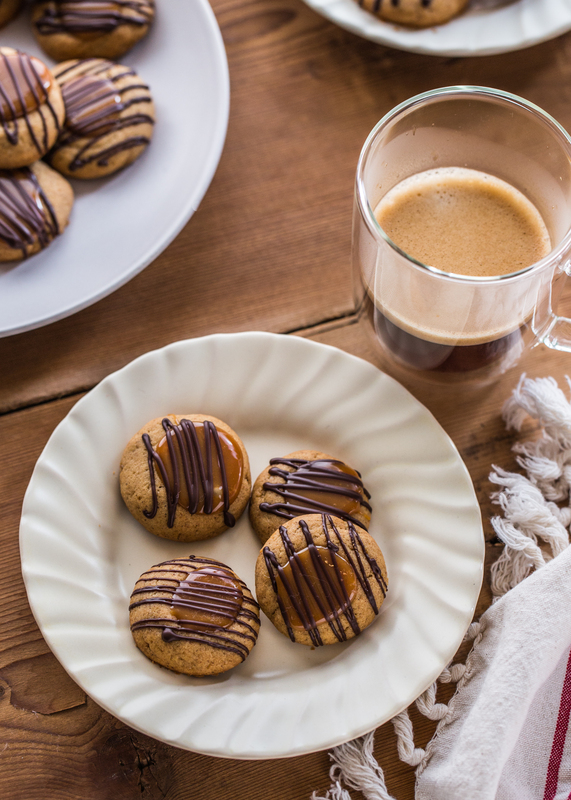 They are doing a 12 days of Christmas cookie celebration now, so be sure to check back with them every day for a new recipe! Thanks so much, June! It’s a great combination that I am thinking needs to happen more often 🙂 Thanks for stopping by and Happy Holidays! 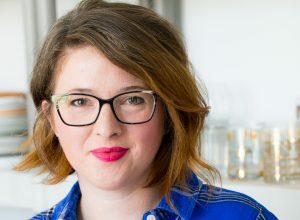 Thanks so much, Emily! Happy Holidays and thanks for stopping by! !